I don’t know if you have heard similar statements from people around you or also discovered them in your mind. Read your bible, go to church, meet other believers to meet God. Which, in general, is a good thing. But with it comes also a feeling of pressure. Which leaves me guilty every time. Every day without opening my bible, not connecting in worship or even going to church leaves me with a sense of failure and a spiritual bad conscience. God is to be found in the church and ‘spiritual’ things, so I better do my part to find him. And what if I do all that, what if I play by the rules and still feel like he’s not there? Since I started working, my alarm goes off at 5.15 am most mornings. I am glad when I get seven hours of sleep. My body is exhausted, my mind is weary from thinking and planning and worrying. There’s enough pressure out there, and very little time to meet God in ‘spiritual’ ways. In the midst of all of this I discovered a new sense of freedom. I heard a lot of stories, as I got to know people a bit and they allowed me a glimpse into their lives and struggles. I shared questions and problems and was blessed with unexpected advice, a good laugh (or chocolate). I experienced genuine kindness, friendship, and hope. I have seen the most beautiful sunrises, a perk from getting up so early. I have savored a good night’s rest or a home cooked meal. I have raveled in the outburst of flowers and spring colors. I don’t know how your day looks like, how your lives look like. I don’t know if and how you meet God. I don’t say one way is better than the other. But I want to speak a little bit of freedom to your guilt-ridden soul. I want to release you from the pressure others or you have put on your faith. I want to challenge you to widen your perspective and open your eyes and heart. God is out there, he’s ready to be found and meet you. In often unexpected places and people. Are you ready to meet him there? It’s Friday and I am linking up with Kate Motaung‘s Five Minute Friday. Why don’t you join us? Thanks for sharing, Tara! Yes, God definitely has many ways to meet us outside the church, what a relief! “I want to speak a little bit of freedom to your guilt-ridden soul. I want to release you from the pressure others or you have put on your faith.” You preach it, sister – amen! I totally relate to your words, Katha, and the pressure that can often be found within the confines of the little c church. We are after all, as believers, the big C Church – and when we join together, are lead by His spirit, and reach out to link arms with grace, He is there. Loved your words and I say yes, yes! Blessings, FMF neighbor. 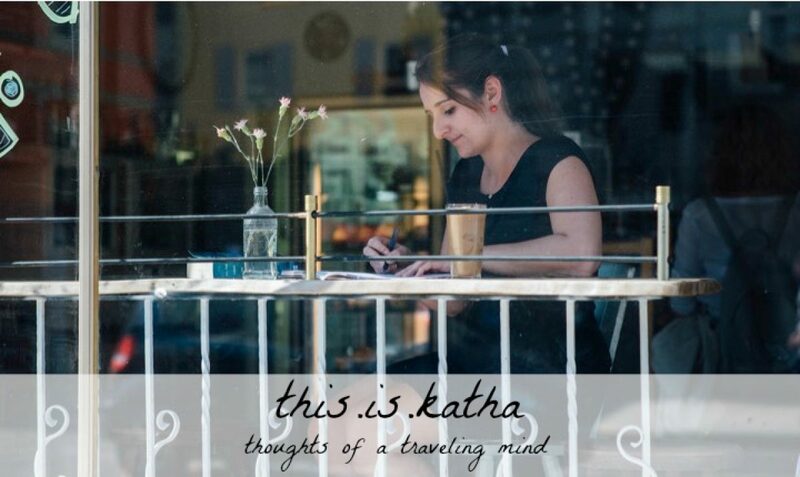 Katha, I think God often meets us outside the church. One of my fave texts is Deut 6:4-9. Faith begins in the home.